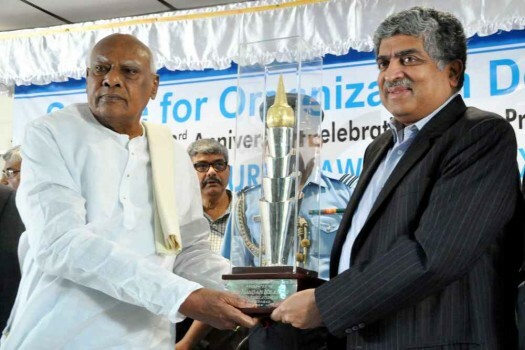 Tamil Nadu Governor K Rosaiah (L) presents the V Krishna Murthy Award for Excellence to Nandan Nilekani at the Centre for Organization Development in Hyderabad. 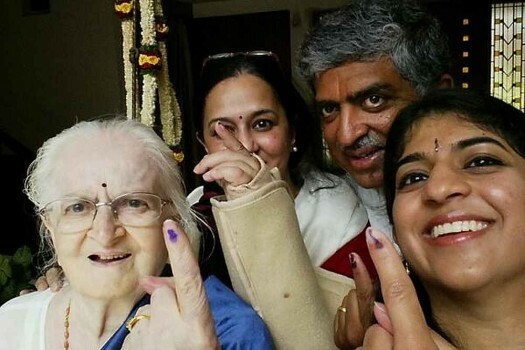 Congress candidate from Bangalore South Nandan Nilekani showing inked finger with his wife Rohini and daughter after casting their votes in Bengaluru. 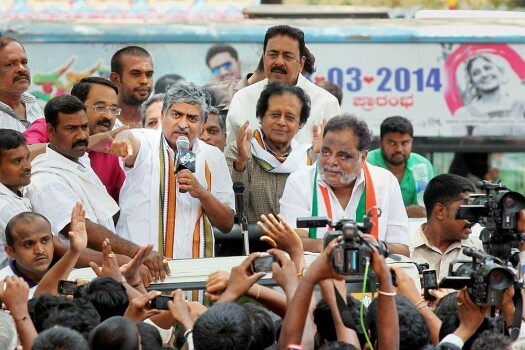 Kannada star Ambareesh campaigns for Congress' Bangalore South candidate Nandan Nilekani during a roadshow in Bengaluru. Bangalore South Lok Sabha Constitiency Congress Candidate Nandan Nilekhani with Shivakumara Swamiji of Siddagananga Mutt at Tumakur. 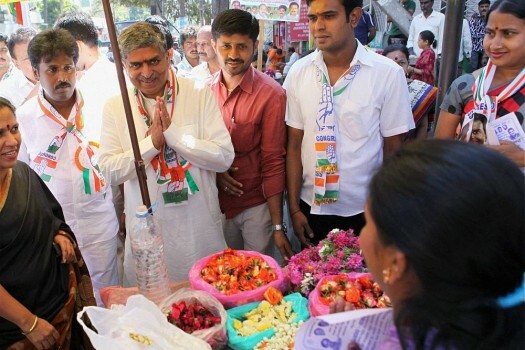 Congress Candidate for the upcoming Lok Sabha polls, Nandan Nilekani campaigning in Bengaluru. 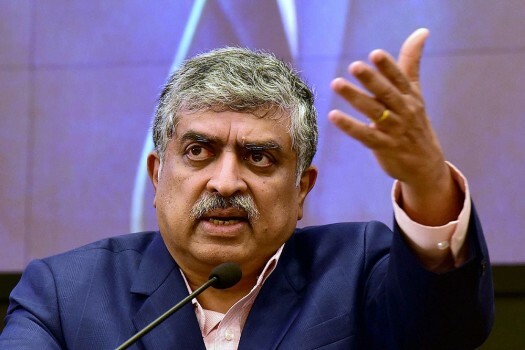 Congress Candidate for the upcoming Lok Sabha polls, Nandan Nilekani plays cricket during his election campaign in Bengaluru. 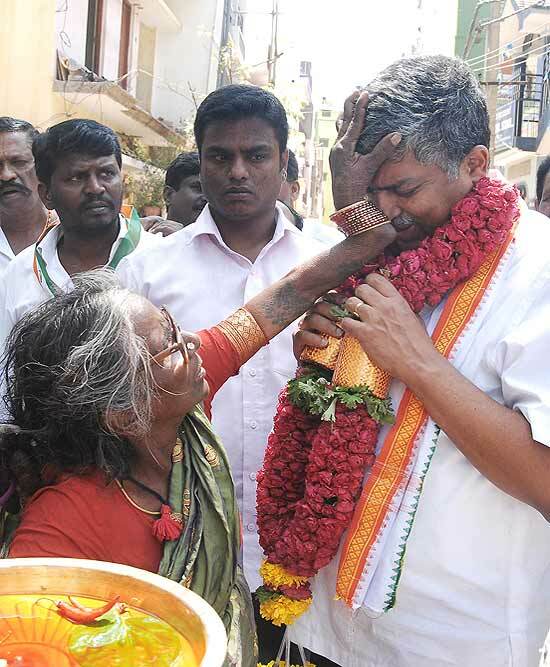 Congress Candidate from Bangalore South, Nandan Nilekani campaigning in Bengaluru. 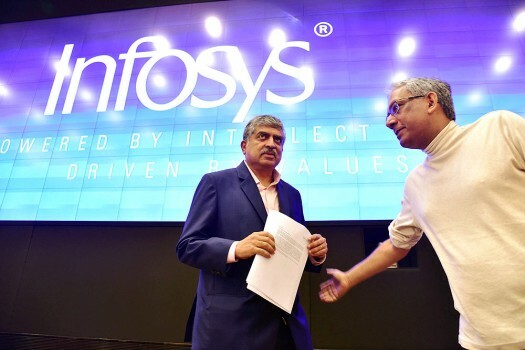 "I think, everybody has to accept Aadhaar is here to stay." 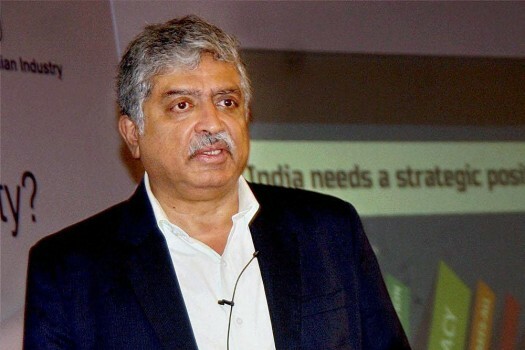 It has really been a bipartisan thing, Nilekani said while participating in a World Bank panel discussion on Digital Economy for Development yesterday. 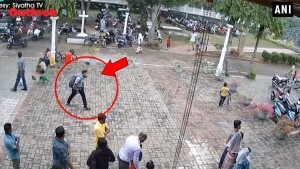 A week ago, an IIT post-graduate was arrested for accessing the UIDAI server illegally by developing a mobile app which provides for Aadhaar e-KYC verification without authorisation. 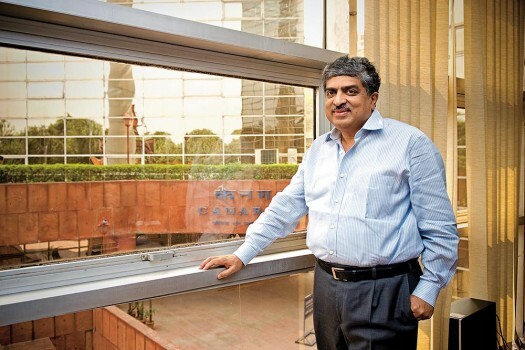 To politics then, Mr Nandan Nilekani? 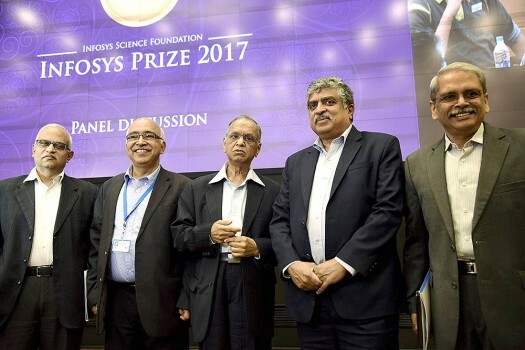 Its ploy of Aadhar-hinged cash transfer may have won the Congress political points, but will it really be a game-changer? 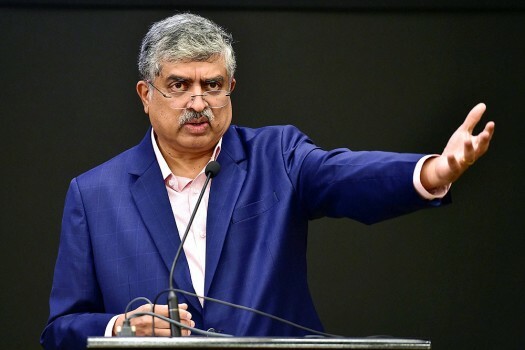 The UIDAI chairman on the controversies and challenges facing his pet project. 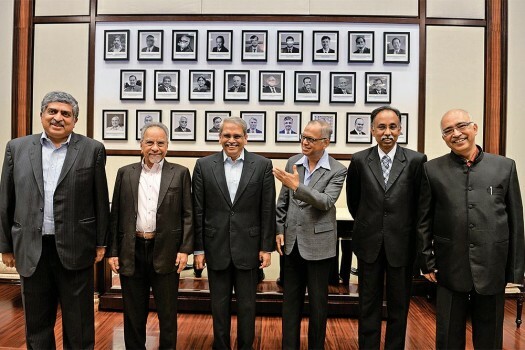 Operator : “OK… you’re… Mr Singh.. Your home number is 4094! 2366, your office 76452302 and your mobile is 0142662566. Where would you want your order to be delivered sir? Home, office or the parking of Spencer Shopping Mall on Anna Salai formerly known as Mount Road from where you are right now calling us using your mobile? Operator : “I’m afraid you have to pay us cash, Sir. Your credit card is over the limit and you owe your bank Rs10,720.55 since October last year. Operator : “Better watch your language Sir. Remember on 11th Nov 1986 you were convicted for using abusive language on a policeman who stopped you for driving through a one way, in fact you were driving a 1973 Ambassador bearing registeration number UTD 4267……. 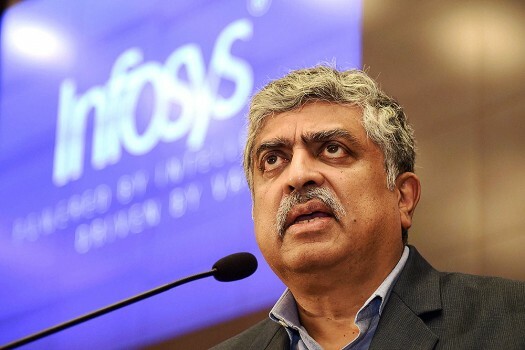 Customer: May I know the number of Mr. Nandan Nilekani? We have got more than our parents bargained for! And alking of abusive language, why am I reminded of the viral Pakistani Mobilink MP3 file doing the rounds many years back?